NorthStar Financial offers a full suite of services for investors of all economic strata. From helping individuals and business owners, to retirees and more, we’ll help ensure your plan works in unison so you can stay focused on what matters most. No matter what you need, or when you need it, we’ll be here to help you maintain your financial freedom through all of life’s stages. The heart of our practice is dedicated to constructing and managing investment portfolios. Our wealth management strategies incorporate analytical processes which incorporate individual client priorities. 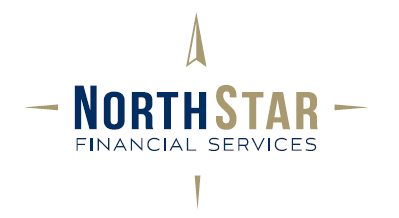 From identifying short and long-term objectives, to assessing resources and your level of risk tolerance, NorthStar Financial strives to first gain a deep appreciation for every aspect of your situation before offering our recommendations. Rising education costs require a forward-thinking plan. At NorthStar Financial, we can help you prepare for one of life’s biggest investments. Wherever you are in life, we’ll help you strategize so you can give your loved ones the education they need. Through various cost-effective strategies, including tax-advantaged 529 college saving plans, we’ll help secure your children’s future. Whether you’re in the prime of your career, are just a few years away from leaving the workforce, or are already evaluating an early retirement offer, we can help create an investment plan that meets or exceeds your long-term goals. At NorthStar Financial, we will help you prepare for retirement and live the life you’ve imagined. Through a variety of 401(k) and IRA strategies, distribution planning and tax efficient strategies, we will help defend your lifestyle so you can fulfill your vision of retirement. Are you and your loved ones protected? We can help build your confidence in tomorrow by strengthening your insurance policies today. Our customized strategies will help protect against the unexpected and provide for your loved ones. We offer a full suite of insurance policies, including life, disability and long term care insurance. While monitoring your existing policies to guard against loopholes, NorthStar Financial will seek new opportunities to guard what you’ve worked so hard to achieve.